2. Blockchain – blockchain will be hyped to be a solution for many IoT problems, and it will turn out that it is not the best solution for most of problems it is hyped for – and maybe it will find few sensible uses for it in IoT. Blockchain can add immutability and integrity to some IoT transactions. 6. Security issues will be talked a lot. IoT security is far from solved issue. 7. Privacy issues of IoT will be talked a lot when our homes and pockets are starting to be filled with ever listening digital assistants. 9. More CPU power will be added or used in the edge. Pushing processing power to the “edge” brings a number of benefits and opportunities. Xiaozhu, China’s answer to Airbnb, plans to step up the introduction of facial recognition-enabled smart door locks to help verify the identities of tenants as part of a broader effort to improve safety and security in the country’s booming home sharing industry. Apart from wider adoption of “face-scan check-in” to verify user’s identities, Xiaozhu announced other measures to upgrade safety and security, including equipping more apartments with smoke detectors, gas alarms and burglar alarms. It is also setting up a blacklist of tenants who misbehave during their stay at hosts’ homes. “Years ago, what we worried about the most was that people didn’t want to share their homes with strangers. Now, home-sharing has become an industry so we need to do more to address the concerns of all parties involved,” said Kelvin Chen Chi, chief executive of the Beijing-based Xiaozhu. The plan to improve safety and security is in line with the Chinese government’s tighter control over home-sharing, mainly for state security reasons. By equipping listed apartments with smart devices, the company aims to address safety concerns over short-term rentals. Inside a smart meter, and the REAL problem with them. A look at the insides of a modern smart meter with wireless modem. Brain irradiating 5G death waves. The ability of the meter to be programmed to read apparent power and apply peak demand pricing. They’re being installed not to your benefit but for the suppliers. I’m seeing people having the smart meters fitted because they’ll ‘save money’. Nope – there is no actual saving – just the customer realising how much they use and trying to use less. The utility companies openly admit that they will share the information collected with third parties including the government. This means that information about when you are at home or away, what appliances you use, when and for how long can all be made available. This means that there are personal security issues. Even if you trusted the utility companies and the government with this information there have been repeated and highly publicised breaches of security by various parties and the system can be easily hacked for nefarious purposes by those with criminal intent. People in the UK may or may not already be aware that we are the most watched nation on earth, with more CCTV cameras than any other country in the world. We already know that all electronic communications are being monitored (emails, web traffic, telephone calls, etc) – and your ‘Smart’ Meter data (which reflects much more detail about your daily comings and goings as well as your energy usage profile) will significantly add to the amount of personal information being harvested about you. Machine running speed nearly doubled with greater product control, quick ROI. Rockwell Automation has joined automation leaders in an OPC Foundation initiative to extend OPC UA out to field devices. The goal is to provide vendor-neutral, end-to-end interoperability beyond the plant. The firm found that U.S. penetration of Alexa-enabled devices reached 31 percent this year, compared with 41 percent overall for smart speakers. It also forecast that Alexa would generate $18 billion to $19 billion in total revenue by 2021 — or ~5 percent of Amazon’s revenue — through a combination of device sales, incremental voice shopping sales and other platform revenues. In the U.S., there are now more than 100 million Alexa-enabled devices installed — a key milestone for Alexa to become a “critical mass platform,” the report noted. Platform may enable continuous, low-cost, reliable devices that detect chemicals in the environment. Vision-based track-and-trace systems represent big profit potential for companies looking to improve operations and overall safety in industries such as food and beverage, which are subject to potential recalls. Vision-based track-and-trace systems, which are also used in the pharmaceutical and medical device industries, automotive manufacturing, and general packaging, represent big profit potential. According to a report from MarketandMarkets, the track-and-trace solutions market is projected to reach $3.93 billion by 2023 at a CAGR of 18.9%. Machine vision original equipment manufacturers (OEMs) and integrators are capturing this market with a variety of solutions. It’s still early days in commercial markets for the internet of things and especially machine learning, according to a startup making Bluetooth gateways. Rigado wants to spread Bluetooth mesh networking beyond use in lighting and see chip vendors improve the way that they manage their open-source offerings. The startup aims to deliver products for asset tracking and smart buildings, markets in which “the frameworks and solutions to make [IoT] easy aren’t there yet … you don’t have ubiquitous gateways and IT people who understand IoT,” said Rigado’s co-founder and CTO, Justin Rigling. Changing IoT; Huawei/ZTE ban; Apple vehicles. Internet of Things vendors and providers of network services need to collaborate to fully realize the possibilities presented by the IoT, Chris Martin of PowWowNow writes. “The potential applications for IoT sensors and devices span a vast number of industries, with IoT technologies expediting the growth of smart cities, autonomous vehicles and connected industry technologies. However, in order to reach its full potential, the sector must first overcome two key challenges – connectivity and scalability,” he notes. Peter Hoddie, principal of Moddable, advocates the use of local network services and creating “Apps for Things” as ways to put the user in control of the IoT. IoT predictions are a dime a dozen, and that’s about how much they’re worth, according to Frank Landman. “In 2010, when IoT was just starting to captivate the attention of futurists, industry analysts were predicting that there would be more than 50 billion connected devices in play by 2020. Over on the “Upon 20–20” blog, Johannes Ernst published an excellent post titled “The Internet of Things could be great, if only we didn’t let the tech giants own it”. Johannes describes an “Indie IoT.” His vision is appealing. He believes users should be in control of the devices they choose to place in their home. He believes individuals should be in control of the data those devices create. He believes owners of devices should be free to modify the devices they own. This is hardly radical stuff. Yet, this is far from the state of IoT today. Indeed, if all the software in IoT products were to be Free Software, it would be possible for users to install software that respects their rights onto the products they own. I would be happy to live in this world. It would give the potential for individuals to take control of the products in their lives. That potential, however, is often unrealized in Free Software because the knowledge, skills, and time required to modify the software are out of reach of many in the software developer community, and any causal user of the product. That’s not to say that fully open software on IoT products is undesirable. It is. However, alone it is not enough. And, practically speaking, many IoT product creators are unlikely to embrace such a model any time soon. Moving from an entirely closed product to a fully open product is a lot to do in a single step. The first approach is to build into the product a network service that allows other devices to receive status about the state of the IoT product and to send commands to control its operation. If this is done through a cloud service, as Google does with its Nest Thermostat, it does not meet the criteria Johannes established because all data is routed to Google’s cloud and all decisions are made there. Instead, the network service needs to be built into the product itself allowing communication without the need for a gateway or cloud. If the owner of the product wants to connect the IoT product to the cloud, that should be their choice — including which cloud to connect to. At Moddable, we’ve created a network service for IoT we call Decentralized Ambient Synchronization (DAS). It combines standard mDNS with a little HTTP and JSON to enable lightweight direct communication between devices. The second approach to creating IoT products that are more open is apps. Taking a step back to the idea of fully open software for an IoT product, what we are talking about is replacing the operating system of the product. That’s difficult, even on a computer or mobile phone. Most people never do that. IoT is still a relatively immature technology. As with many new technologies, it has begun with large industry players trying to control it. These products are going into every aspect of our home, our transportation, and the devices we carry on (and in!) our bodies. As individual consumers, we can make choices in our product selection to encourage IoT products that respect our rights by putting the product owner in control. Three Belkin standby saver plugs, two faulty and one working. Qualcomm, the largest supplier of modem chips used in mobile devices, introduced the X50 modem in 2016 to connect smartphones to 5G networks, which are expected to be 10 to 100 times faster than current LTE technology. But as it attempts to move everything from wearables to factory equipment onto cellular networks, Qualcomm has had to start focusing less on speed and more on power. Sponsored by IDT: Energy-constrained IEEE 802.15.4 sensors and devices will form a major portion of the IoT and must meet IPv6 protocols. 6LoWPAN will make that happen. Linking all kinds of different sensors and devices together is the overarching goal of Internet of Things (IoT) technologies. But the Internet Protocols (IP) required to achieve this goal create energy burdens for battery-constrained and very-low-powered sensors and devices. That’s why 6LoWPAN was created, to enable IP communication with even the lowest powered and smallest of things – such as IEEE 802.15.4 devices. The acronym “6LoWPAN” is a combination of the latest version of the Internet Protocol (IPv6) and low-power wireless personal-area networks (LoWPAN). The 6LoWPAN standard ensures that any low-power radio can communicate to the internet, e.g., 804.15.4, Bluetooth Low Energy, Z-Wave (for home automation), and others wireless protocols. 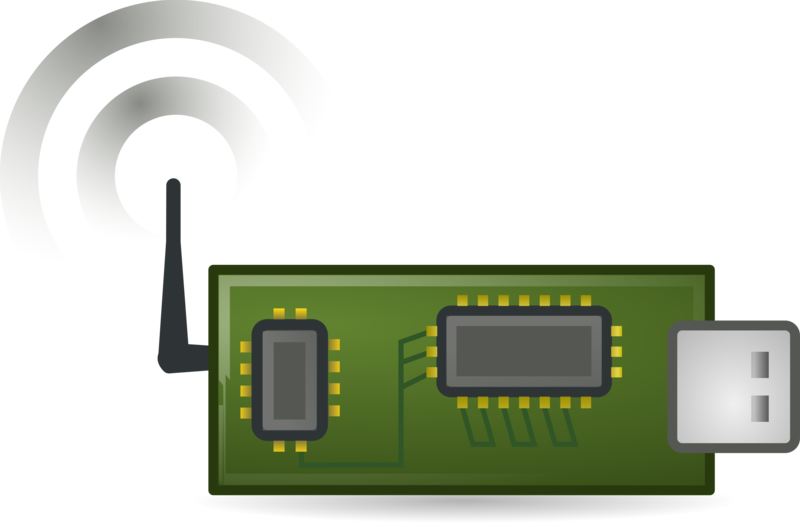 The IEEE 802.15.4 is a technical standard that defines the operation of low-rate wireless personal-area networks (LR-WPANs) and is a basis for Zigbee. Originally, the Zigbee standard was designed to be an automated local bus with no connection to the internet. 6LoWPAN helps to extend Zigbee with a low-power interface to the internet via appropriate protocol stacks. Specifically, the 6LoWPAN protocol utilizes encapsulations and header-compression mechanisms that allow IPv6 packets to be sent and received over IEEE 802.15.4-based networks. The key point is that with 6LoWPAN, all devices—even the lowest-powered sensor—can communicate with the same IP protocols and applications as used anywhere on the internet, from the home to the factory floor and the entire world. How does 6LoWPAN support low-power IP-based connectivity? The primary way is by shrinking bulky IP headers. Before 6LoWPAN, a complex application gateway was needed to make devices such as Zigbee, Bluetooth, Z-Wave, and proprietary systems connect to the internet. An algorithm predicts where potholes will emerge so road crews can resurface streets before cracks appear. Dog houses outfitted with cameras and temperature controls provide people a place to leave pets while they’re on a date or at yoga. And on Main Street, if a driver parks too long, a sensor alerts the police and a ticket is issued. In recent months, Kansas City has become an unexpected destination for technology companies looking for a place to test ideas. The city’s goal: To be what it calls a living lab. Hundreds of cities, large and small, have adopted or begun planning smart cities projects. But the risks are daunting. Experts say cities frequently lack the expertise to understand privacy, security and financial implications of such arrangements. Some mayors acknowledge that they have yet to master the responsibilities that go along with collecting billions of bits of data from residents. Concerns have intensified as Kansas City prepares to expand its technology experiment from downtown to poor neighborhoods on the city’s East Side. The expansion will bring free wireless to homes, but also dozens of surveillance cameras and a gunshot detection system, and some residents worry that in the quest to be seen as forward thinking, the city may be handing off too much control to private companies and opening up residents to consequences it doesn’t fully understand. The Internet of Things (IoT) is the next technological revolution in the manufacturing sector, and adoption is already well underway. Many IoT solutions are still basic today, but industry analysts predict that manufacturers will be implementing complex technologies in the future. As AI continues to evolve as well as IoT devices proliferate, AIoT is as the next generation of IoT. Machine learning is the practice of giving a computer a set of rules and tasks then letting the computer to complete those tasks. Manufacturers are changing the way they do business as globalization is changing the nature of business. Technology and information are working hand-in-hand to make these changes possible. Combined organization to focus on cloud computing and Industrial Internet of Things (IIoT) research. The Industrial Internet Consortium and the OpenFog Consortium are merging to bring research and best practices promulgation around cloud and fog computing, 5G cellular communications, and artificial intelligence (AI) under one organization. The two groups announced Dec. 18 they would combine their organizations under the Industrial Internet Consortium (IIC) name and would collaborate on a more holistic approach to furthering the use of the Industrial Internet of Things (IIoT). Cloud computing transmits and stores information through data centers to provide greater computing capacity. Fog computing, also known as edge computing, allows for such calculations to be done at servers on a plant’s premises. ROVANIEMI, Finland (AP) — Rudolph and friends no longer need to rely on the famous reindeer’s red nose to avoid getting lost. Now they have wireless technology. Digita built the long-range network, which it says is the world’s most northerly “Internet of Things” network. The Industrial Internet Consortium® (IIC™) and the OpenFog Consortium® (OpenFog) today announced that they have agreed in principle to combine the two largest and most influential international consortia in Industrial IoT, fog and edge computing. The move will bring OpenFog members into the IIC organization at a time when their complementary areas of technology are emerging in the mainstream. “This is great news for the industry. Both organizations have been advancing the IIoT, fog and edge computing, and their members represent the best and the brightest in their fields. It makes sense to merge their expertise and work streams to continue providing the IIoT, fog and edge guidance that the industry needs,” said Christian Renaud, Research Vice President, Internet of Things, 451 Research. The drone episode last month at Gatwick Airport in the United Kingdom forced the cancellation or diversion of more than 1,000 flights over three days. While local police arrested a couple suspected of being behind the drone flights, they were quickly exonerated and released. Questions remain on how airports should respond to such episodes, which are bound to happen again and more frequently. Newspaper printing plants in California and Florida saw production disrupted by cyberattacks late last year. The Los Angeles Times, one of the daily papers affected, said the attacks originated from outside the United States, without naming a specific point of origin. The Department of Homeland Security has warned managed services providers, managed security service providers and cloud services providers to be on the lookout for advanced persistent threats specifically targeting such companies. Will data breaches continue to occur during 2019? Most definitely, according to Robert Ackerman Jr., founder and a managing director of AllegisCyber and a founder of DataTribe. “Look for AI-driven chatbots to go rogue, a substantial increase in crimeware-as-a-service, acceleration of the weaponization of data, a resurgence in ransomware and a significant increase in nation-stage cyberattacks. Also on a growth track is so-called cryptojacking — a quiet, more insidious avenue of profit that relies on invasive methods of initial access and drive-by scripts on websites to steal resources from unsuspecting victims,” he writes in this analysis. The Federal Communications Commission and other regulators are investigating an Internet outage that disrupted 911 service across the U.S.
After an unusual two-year delay, silicon for a new Wi-Fi standard is starting to emerge. Over the next few months, a handful of startups will sample chips for 802.11ah, a 900-MHz version of Wi-Fi targeting long-range links especially for the internet of things. The so-called HaLow products promise delivery of up to Mbits/s over distances of tens of meters to a kilometer and support for thousands of nodes on an access point. They will occupy a space between ultra-low-power and -cost LoRa and Sigfox networks and below more power-hungry LTE Cat-M and Narrowband-IoT networks that come with data plans. Some of the initial products will be single chips made in 40-nm processes, not likely to carry large price premiums. They represent a new breed of IoT options for unlicensed bands that support both IP networking and OFDM modulation familiar to the broad PC ecosystem. Long term, they will eke out a position as a fourth band extending the range of links for smartphones and PCs. The Wi-Fi Alliance announced HaLow at CES 2016 as the outcome of the 802.11ah process kicked off with significant help from Qualcomm engineers in 2014. Usually, by the time an IEEE 802.11 spec is finished, several top Wi-Fi chip vendors are already shipping silicon in a race to the market — but not this time. Two years since the standard was finished, only one company, Korean startup Newracom, is said to have shipped a chip seen in a gateway from Korean Telecom. Four other startups around the world aim to sample HaLow silicon next year. Morse Micro, a Sydney startup formed by Wi-Fi experts from Broadcom and Radiata, is one of the most impressive of the group. Established Wi-Fi chip vendors such as Broadcom, Cypress, Huawei, Mediatek, Qualcomm, and Realtek may follow rather than lead this time. The choice was an easy one. The .11ax products would clearly rise quickly to sell millions of units. Companies such as Qualcomm and Mediatek were also ramping LTE IoT and 5G products, leaving them no resources for HaLow. “Anytime you go to a new band, it takes time,” said the wireless veteran. “Five gigahertz was a 10-year process, and it took .11ac to move it to widespread use,” while 60 GHz Wi-Fi is still getting on its feet. Others note that in 2016, a lot of startup energy was getting pumped into an emerging class of low-power, wide-area networks. LoRa, Sigfox, and other IoT networks for the ISM bands were on the rise, and the LTE IoT standards — Narrowband IoT and Cat-M — were in the wings. There weren’t investment dollars or entrepreneurial energy left for HaLow. Today, the big players are expected to get into the market around August when the Wi-Fi Alliance launches its HaLow certification program. Although it has gained backers, including Comcast, LoRa is limited to data rates typically below a few kilobits/second — not enough, they say, to support over-the-air updates needed to keep up with changing security standards. LoRa’s relatively “low network capacity limits the number of sensors [that] a base station can service,” it said. More established 802.15.4 networks such as Wi-Sun and Zigbee require more power but still don’t support large networks of sensors on a single base station, added the white paper. The Morse design incorporates 1 to 8 Mbytes flash, uses private keys for secure boot and cloud authentication, and fits in a 6 × 6 QFN package. De Nil boasts that it was created from a clean sheet of paper with novel filters and accelerators and no third-party IP blocks. “The .11ah standard has stringent radio requirements with relatively wide bandwidth, so wide dynamic range is needed to deal with interference and OFDM requirements to get the best performance and lowest power,” he said. The design uses multiple 32-bit RISC-V cores, customized to act as wireless signal processors. “Using open-source cores has really accelerated our design … [without them,] we would have needed Arm processors and negotiated royalties — instead, we took open-source RTL and added accelerators,” he said. Your new IoT gadget looks great on paper and you have managed to transfer that seemingly perfect schematic image into real hardware. You have skillfully interlaced multiple subsystems, which consist of USARTs, EEPROMs, an intelligent touch display, and an encapsulated hardware-based TCP/IP processor. The ARM microcontroller you have chosen lies ready to utilize the components that are logically and electrically attached to its I/O pins. Five ways to lower robotic system risks: Industrial safety, while a widely used term, is a misnomer; nothing is without risk. When something is declared safe in an industrial setting, those involved should think again about risk assessment and determine if the risk is acceptable. The introduction of new connectivity technologies that support these types of IoT applications — from high-speed LTE to low-cost low-power wide-area (LPWA) technologies — have further driven growth of these solutions. The FCC is now making available a new wireless spectrum that will help fuel further growth of the IIoT and similar fixed enterprise IoT applications. This technology-agnostic spectrum, which supports both high- and low-speed data transmission, is called Citizens Broadband Radio Service (CBRS), and it enables enterprises to deploy private LTE and other types of wireless networks at a port, airport, factory, warehouse, or other facility. This 3.5-GHz band of wireless spectrum was previously reserved for use by the U.S. Navy, satellite service providers, and utilities. However, new dynamic spectrum allocation technologies allow these incumbent users to continue to use this spectrum without interference while, at the same time, enabling new users. Some of these users will gain access to the spectrum via auctions for Priority Access Licenses, while others can secure what is called General Authorized Access without a license. Emphasis on processing at the edge adds confusion to the IoT model as the amount of data explodes. Back in 2013, when the IoT concept really began taking off, connectivity to the Internet was considered the ultimate goal because the biggest compute resources were still in the data center. Today, compute resources are becoming more distributed and processing is becoming more nuanced. In fact, almost all of the early major proponents of the IoT, such as Cisco, Arm, Samsung and Philips, have shifted their IoT focus to data management, processing, and security. Recent advances in the types of gas sensors available have created new opportunities for engineering smart products that can consider the air quality and smell, thus providing more information to users as well as directing control over our air quality. Growing reliance on electronic devices in industrial and commercial applications is fueling the use of RF energy harvesting as a source of power. Efficient low-cost implementation of NB-IoT for smart applications. We conclude that a NB-IoT modem can be implemented in software on a small processor like the Synopsys’ DesignWare ARC EM9D, thereby achieving low cost and low power consumption. Arm announced a new range of image signal processors that enable cameras, drones, and other embedded devices to discern sharper details in the world around them. The Mali-C52 and Mali-C32 are designed to process images in challenging lighting conditions, pulling out details in real time that could be overlooked by older generations of technology. The company is trying to tap into the increasing demand for computer vision applications such as object detection, which require highly detailed output images. Arm, which is trying to shift its smartphone dominance into the Internet of Things, estimates that shipments of surveillance cameras are projected to increase 20 percent every year to over 500 million units by 2021. Image sensors are also being slapped onto everything from refrigerators to door locks. The goal is to sense and share factory, equipment and product status in real time with intelligent and self-aware machines (like robots) to drive increased efficiency and flexibility. Industry 4.0, or the fourth industrial revolution, typically refers to the evolution of the manufacturing industry to become “digitized” – to harness the power of collecting and using information in real time to create smart factories. The digitization of the factory combines communications, information technology (IT) (including cloud storage and interaction), data and physical elements. IDC forecasts a steep climb in IoT spending through 2022. An IDC researcher explains the stages of IoT development—past, present, and future. IoT spending is in full bloom, and it’s going to bloom bigger. Research from IDC forecasts that IoT investment for the period 2017 through 2022 will hit $1.2 trillion. That’s an annual growth rate (CAGR) exceeding 13%. IDC’s Worldwide Semiannual Internet of Things Spending Guide forecasts a burgeoning IoT technology market. A good chunk of that total is expected to involve industrial applications. Discrete manufacturing and transportation will each exceed $150 billion in spending in 2022, making these the two largest industries for IoT spending. Messaging query telemetry transport’s (MQTT) role as an Internet of Things (IoT) message transport derives from its simple design, when it began as an industrial communicator for a pipeline supervisory control and data acquisition (SCADA) system. Messaging query telemetry transport (MQTT) has emerged as one of the dominant IoT message transports across multiple industries in the last five years. Considering that most cloud services provide native MQTT capabilities, more device manufacturers, software, and services are implementing MQTT-based products. What are the potential risks for small- to medium-sized companies? How do we minimize these risks? Before making the decision to jump in, it is important to consider your specific internet-based cloud storage needs and your technological infrastructure. Will cloud storage increase efficiency and effectiveness for my company? What process will minimize my risk of security threats? Do I have the resources to adapt and adopt the IIoT process? Is it worth the security risk? As with any online data storage, the potential for security breaches can be minimized and mitigated, but never fully nullified. This reality is among the first that any business must consider before making the decision to use an IIoT platform. A challenge of this network is that, traditionally, industrial automation systems have almost always been physically separated from business network systems; thereby making them secure from remote threats. Manufacturing is in the midst of the fourth industrial revolution—known as Industrie 4.0—and constant plant-floor changes are forcing companies to keep up with the rapid pace or risk getting lost and falling behind. The fourth industrial revolution, also called Industrie 4.0, is underway. It revolves around the rise of the Industrial Internet of Things (IIoT) and its ability to connect to seemingly everything, including innovations such as additive manufacturing, collaborative robots, artificial intelligence, and augmented and virtual reality (AR/VR). Industrial revolutions themselves are nothing new, but the pace at which they’re occurring is remarkable. The pace of change in ancient societies was on a scale of hundreds or thousands of years. In contrast, the industrial revolutions of the 18th and 19th centuries shortened the time span between successive revolutions to less than a hundred years. Depending on the source, the third industrial revolution lasted from 1980 to the Great Recession. Despite innovations being more readily available than ever, countries are at different points on the journey to digitalize. There is a disparity between the rates of adoption of new technologies, awareness about what the fourth industrial revolution offers, and a cohesive leadership intended to drive change initiatives. This has resulted in a fragmented system, with the concept of industrial digitalization, or Industrie 4.0, referred to by various names including Society 5.0, Smart Industry, Manufacturing USA, and Made in China 2025.